This video features a neon sign installation by Italian artist Maurizio Nannucci. 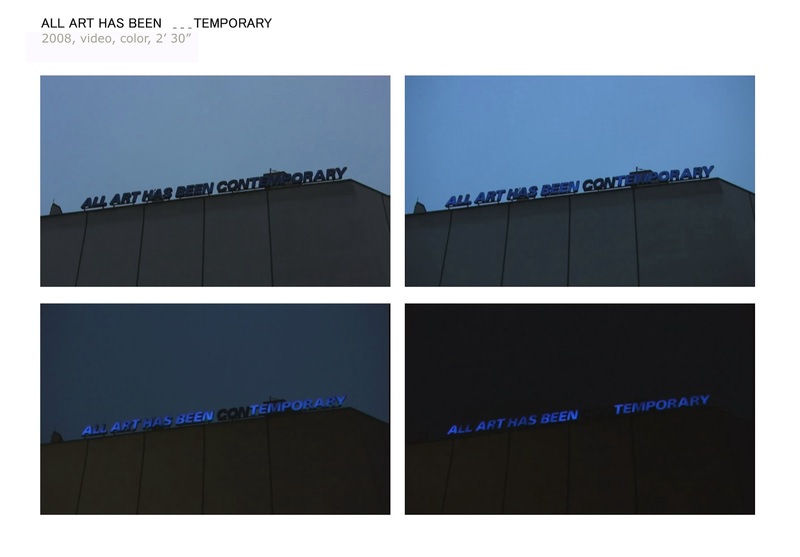 A glowing phrase is placed on the rooftop of the Gallery of Modern and Contemporary Art in Turin stating: “All art has been contemporary”. For few days three letters of the neon sign failed to light up, changing completely the sense of the original statement. The video documents the temporality of the situation, thus reflecting upon the notion of contemporaneity not only as an artistic practice but also as a technical and socio-political construction. video, 2008, 2’30” , color.